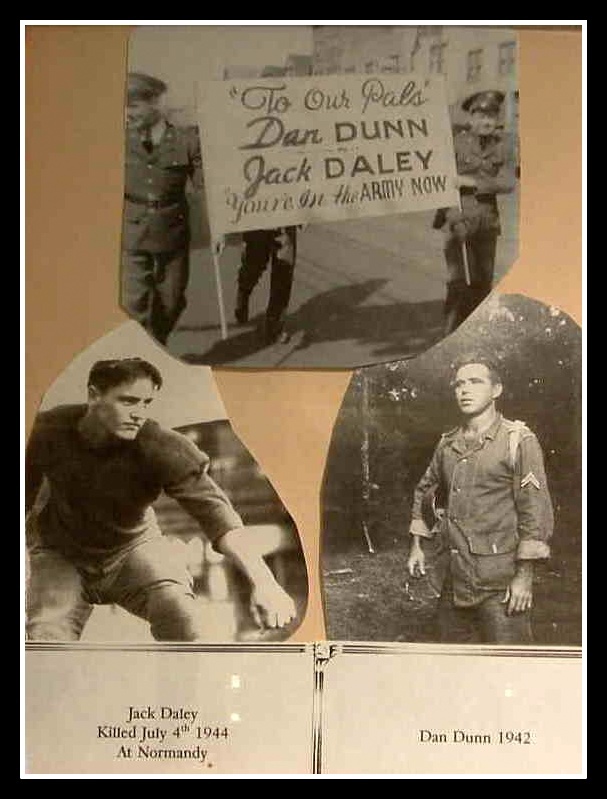 Lt. John J. Daley Jr.
(Aug. 10, 1944) -- Lt. John J. Daly Jr., was killed in action in Normandy on July 4. Lt. Daly commanded a paratroop company. His late father was the township clerk and Democratic party chairman. Young Daly was graduated from Belleville High School in 1932. He played football there and at Manhattan College. He played for the Jersey Giants. He was an assistant coach at Belleville High. In April 1942, he attended Officer's Candidate School at Ft. Benning, Ga. He has been overseas since last Christmas. His wife Doris is expecting a child.